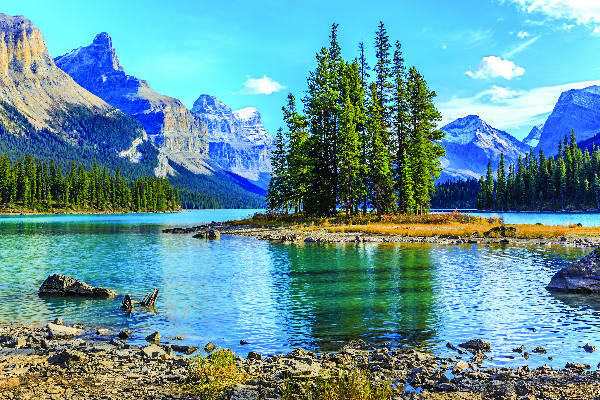 Travel through the foothills of the Rockies to the resort town of Banff in Canada's first National Park. 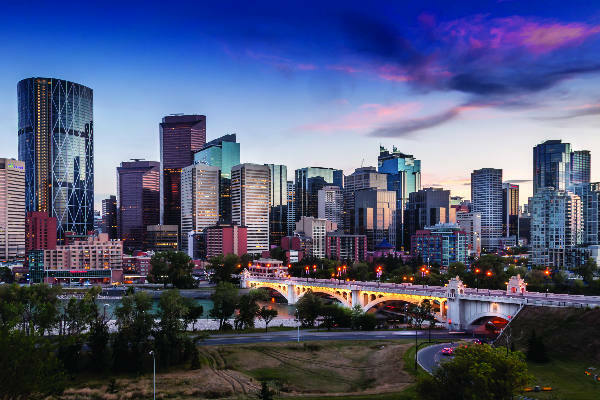 Upon arrival enjoy an excursion highlighting the town of Banff and its environs. 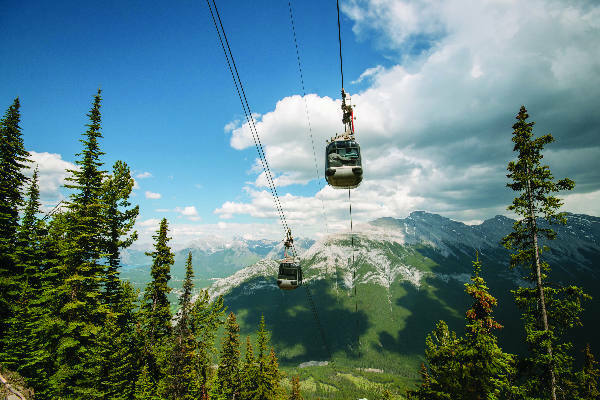 Take a ride on a gondola car (included) to the peak of Sulphur Mountain for a 360 degree view of the Banff Town site and the Bow Valley. Visit Bow Falls before ascending Tunnel Mountain Drive to view Surprise Corner and the Hoodoos, overlooking the Bow River. Continue to Lake Minnewanka, the largest lake in Banff National Park. At Lake Minnewanka enjoy an hour long cruise (included) beneath the jagged peaks of Mount Aylmer and Mount Inglismaldie to the Devils Gap. Big horn sheep, deer and eagles are often spotted at the water’s edge. Return to Banff via Minnewanka Loop with a stop at Two Jack Lake. After the excursion you will be dropped off at your hotel and the remainder of your day is free to explore on your own. After the excursion, you will be dropped off at your hotel. Today is free to explore Banff. You may wish to take an optional sightseeing tour, visit the Banff Upper Hot Springs, enjoy a horseback ride or just relax and enjoy the sites. Included today is admission the Whyte Museum. Learn more about the people and wildlife that live in Banff. Today’s journey travels north along the famous Icefields Parkway, one of the most spectacular highways in North America. Travel through Banff and Jasper National Parks with a stop at the Columbia Icefield allowing time for a Brewster “Glacier Experience.” A memorable trip onto the icy slopes of the Athabasca Glacier in a specially designed Brewster Ice Explorer, takes you to the middle of the glacier while the driver/guide explains how the glaciers are formed and points out interesting geological features (Ice Explorer included). The ice is 365 metres (1,200 feet) thick - about the height of the Empire State Building. At the icefall below the glacial headwall, take the option of stepping out onto ice formed from snow that fell 400 years ago. After this unique adventure, time is allowed at the Columbia Icefield Discovery Centre, to relax over lunch (included) and visit the new and expanded Parks Canada Interpretive Centre. Leaving the Athabasca Glacier, your camera should be ready to capture the majesty of the Athabasca Falls, prior to your arrival into Jasper. Experience Jasper National Park through the travels of the early explorers and view the unspoiled grandeur! This morning excursion will begin along the mighty Athabasca River, learning about David Thompson and the valley ecosystem. En-route to Maligne Lake learn of the local Native legends of the mysterious Medicine Lake with its disappearing waters.! On your adventure, you are sure to see a variety of mountain wildlife. Return to Jasper, where the remainder of the day is at leisure. This morning is free to relax and enjoy the scenery. This afternoon, depart Jasper and travel south along the scenic Icefields Parkway to Lake Louise. Depart Lake Louise this afternoon and travel to the vibrant Moraine Lake, nestled in the Valley of the Ten Peaks. Cross the Great Divide into Yoho National Park via the scenic Kicking Horse Pass and learn the history of the Spiral Tunnels. Takakkaw Falls, in the magnificent Yoho Valley, will be the final stop before returning to Lake Louise. This morning, depart Lake Louise journey past Banff and Canmore and through the foothills to Calgary. 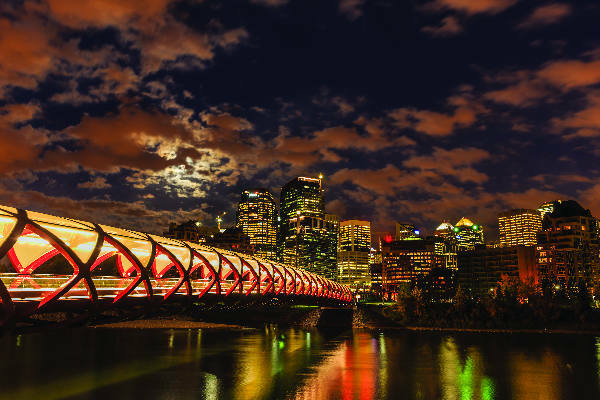 Your vacation concludes with a drop off at specific downtown hotels or the Calgary International Airport for your ongoing or homeward flight. Guide price is per person. Based on 2 people sharing for 6 nights. Flights available for regional airports. Year round departures. Car hire available at local fee.